The original issue of the now legendary small press horror anthology. 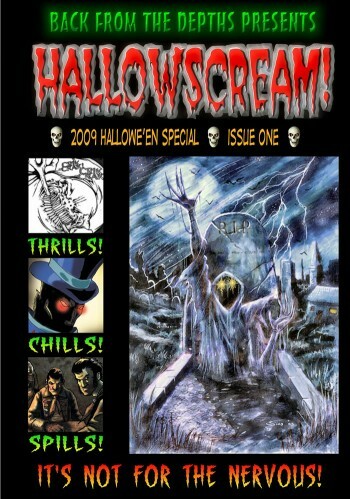 In 2009 the first issue of Hallowscream was launched. This horror comic anthology collected creepy stories from aspiring comic writers and artists looking for a platform to share their work. Hallowscream originated as a tribute comic to the short-lived 1980’s kids horror comic Scream!